FeastHome Reviews – Using the best blender for smoothies is the easiest way to have healthier beverages at home. If you are planning to have one soon, this page will show you some of the best choices you can buy in the market today. It’s no doubt that smoothies have become an everyday staple for a healthier eating habit. And that’s no surprise because this beverage combines veggies, fruits, healthy nuts, and yogurt into one tasty meal for you. To get the most of your smoothies, you’ll need a reliable blender that can cut through frozen fruits, crush even the stringiest produce into a soft liquid, and pulverize ice into a drinkable slush. 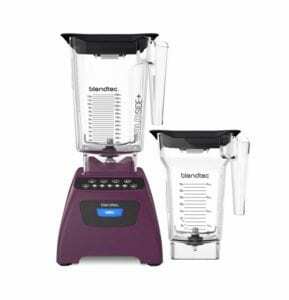 So, to help you get the best smoothie blender out here, I’ve arranged some of the best smoothie blenders that you can find in the market. Let’s check this out! Anyone who knows many things about blenders shouldn’t be too taken aback to learn that the Vitamix is among the most popular one according to experts. It is considered as industry standard and utilized in most professional kitchens. However, it is also a good choice for a home setting too. On Amazon, this device currently owns 4.6 out of 5 with more than 550 reviews. It works perfectly for various ingredients including ice. It gives the fluffiest smoothie mouth-feel. The price is a bit pricey. 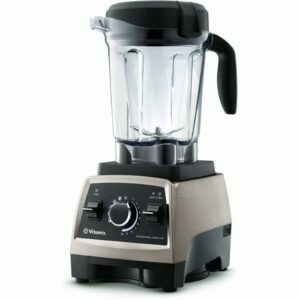 If you need the best blender for smoothies that can save a bit of your money, you shouldn’t look further than Vitamix E310. It is not as expensive as the previous option, but it makes a great choice for pulverizing frozen fruit into delicious, healthy beverage. It offers high performance ability. It is lack of automatic setting to make smoothies. 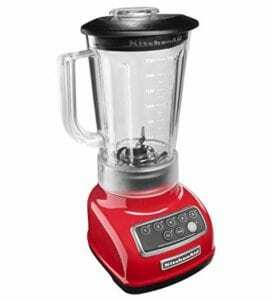 This blender might be affordable, but it offers a lot more powerful performance than its price tag. Compared to the two products mentioned above, it is slightly louder, but it is still a pretty great choice considering its low price. On Amazon, the Ninja Professional blender gains 4.4 rating with more than 3,500 reviews. You can bring this product into your countertop with only $100 budget. It really comes in handy to make multiple servings. You may need to be careful on handle the blades since they are super sharp. While KitchenAid has that reputation to provide high-quality products in the market, it is also popular for its extravagant price tags. The KitchenAid KSB1570ER is one of the best among the others. It makes it possible for you to have a reliable blender without break the bank. You can have it with under $100 budget. This KitchenAid blender is a bit noisy. 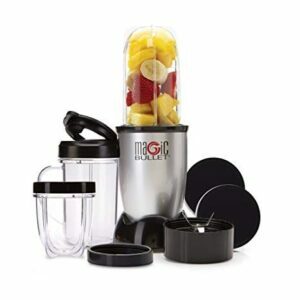 If you are searching for the best blender for smoothies that won’t take much of your budget, this Magic Bullet blender can be a great choice. It also won’t take much of your countertop space thanks to its compact design. 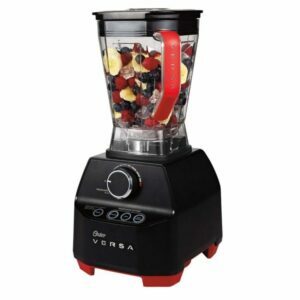 Despite the low price, this blender can be counted on to make a healthy smoothie and other things mainly thanks to the 11-piece blender set available. It comes in a really affordable price. The motor isn’t as strong as the other products mentioned before. The model’s jar of this Oster blender holds 8 cups as most of its competitors do. However, it comes in wider and shorter design, making it much simpler to store when you don’t use it. 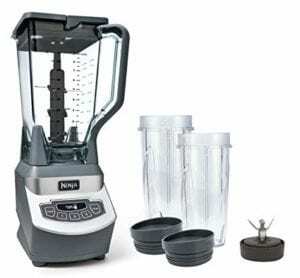 Interestingly, this model also comes with three pre-programmed speeds for general uses including smoothies. It is able to make your ideal smoothies consistency. It offers a seven-year limited warranty. Some reported that the driveshaft can be stripped if you use the functions that may reserve the blade. This blender might be not as popular as the other ones, but it shouldn’t stop you from seriously considering this product. 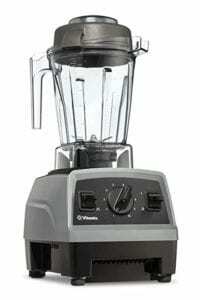 It doesn’t have the Vitamix price tag, yet it offers automatic setting and high-quality performance. More importantly, you can also throw any ingredient including nuts and seeds to this blender for making your healthy smoothies. You can expect for perfect texture smoothies with this device. The price isn’t really inexpensive. That’s all the seven best smoothie blenders that you can find in the market today. All products mentioned above gain outstanding rating and reviews on Amazon. So, you can rely on this list and choose your best blender for smoothies. Happy shopping!